When the kingdom formally arrives on earth, what, among all things, is not silent? Who, among all people, is not afraid? I walk everywhere throughout the universe world, and everything is personally arranged by Me. At this time, who does not know that My deeds are wonderful? My hands uphold all things, yet I am also above all things. Today, is not My incarnation and My personal presence among man the true meaning of My humility and hiddenness? Outwardly, many people applaud Me as good, and praise Me as beautiful, but who truly knows Me? Today, why do I ask that you know Me? Is My aim not to shame the great red dragon? I do not wish to force man to praise Me, but to make him know Me, through which he will come to love Me, and thus praise Me. Such praise is worthy of its name, and is not empty talk; only praise such as this can reach My throne and soar into the skies. 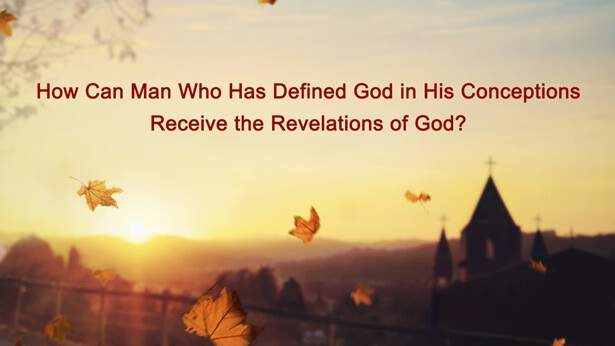 Because man has been tempted and corrupted by Satan, because he has been taken over by the thinking of conceptions, I have become flesh in order to personally conquer all of mankind, to expose all the conceptions of man, and to tear apart the thinking of man. As a result, man no longer parades about in front of Me, and no longer serves Me using his own conceptions, and thus the “Me” in man’s conceptions is completely dispelled. When the kingdom comes, I first of all begin this stage of work, and I do so among My people. Being My people who are born in the country of the great red dragon, surely there is not only a little, or a part, of the great red dragon’s venom within you. Thus, this stage of My work is primarily focused on you, and this is one aspect of the significance of My incarnation in China. Most people are unable to grasp even a fragment of the words I speak, and when they do, their understanding is hazy and muddled. This is one of the turning points of the method by which I speak. If all people were able to read My words and understand their meaning, then who among man could be saved, and not cast down into Hades? When man knows Me and obeys Me will be when I rest, and will be the very time that man is able to grasp the meaning of My words. Today, your stature is too small, it is almost pitifully small, not even worthy to be lifted up—to say nothing of your knowledge of Me.